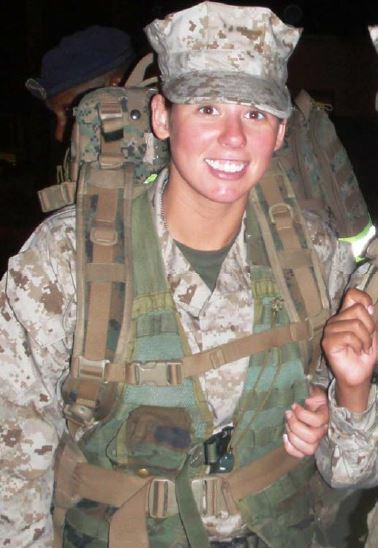 Petty Officer 3rd Class Hilary Dowson served in the United States Navy as a Hospital Corpsman before being honorably discharged in August of 2011. She suffered severe facial injuries on February 14, 2009 when the vehicle that she was a passenger in struck a ditch in the California desert. Petty Officer Dowson served one tour of duty on the island of Bahrain, which is south of Iraq. Dowson's nose was shattered, the roof of her cracked in half, her jaw was broken, and she suffered considerable bleeding. Dowson never lost consciousness, which was critical to her survival as her nasal airway would have likely been completely obstructed had she lost consciousness. Petty Officer Dowson lost 10 teeth and suffered severe facial deformity. She has undergone nine surgical procedures to reconstruct her face. Petty Officer Dowson was diagnosed with a traumatic brain injury, major depressive disorder, anxiety disorder, chronic fatigue, memory loss, maxillary dental trauma, Temporomandibular Joint Dysfunction, traumatic dental extraction, migraine headaches, upper back strain, Meniere's Disease, vertigo, and chronic sinusitis. During her time in the Navy, she earned the Navy Achievement Medal, 1st Navy Good Conduct Award, National Defense Service Medal, Global war on Terrorism Expeditionary Medal, Global War on Terrorism Service Medal, Navy Overseas Service Ribbon, and the Navy Pistol Sharpshooter Ribbon. Petty Officer Dowson is currently majoring in Nursing at Miami Dade College, and intends on enrolling at Florida Atlantic University in Palm Beach County once she has completed prerequisites for Nursing BSN. Dowson received a home in Palm Beach Gardens, Florida.